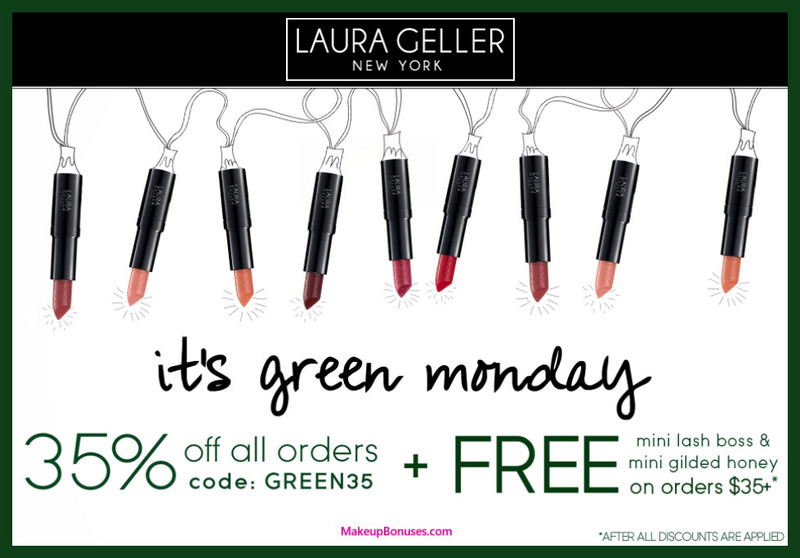 Green Monday Beauty Discount Offers at Dozens of Stores! 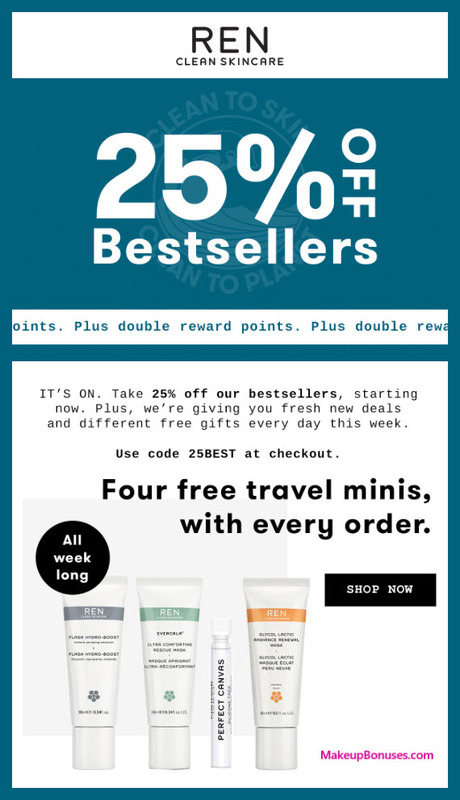 Alterna Haircare offers Free Shipping on purchases of $50 or more. 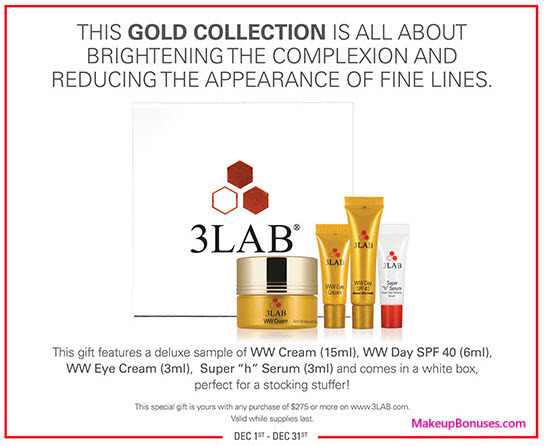 LAB SERIES Skincare for Men offers Free Shipping on all purchases. For Christmas delivery, order by 3pm Dec 12 (PO Boxes), 3pm Dec 19 (Standard Ground), 3pm Dec 20 (2nd Day Air), 3pm Dec 21 (Overnight Air). Thank You to US Veterans for your service! 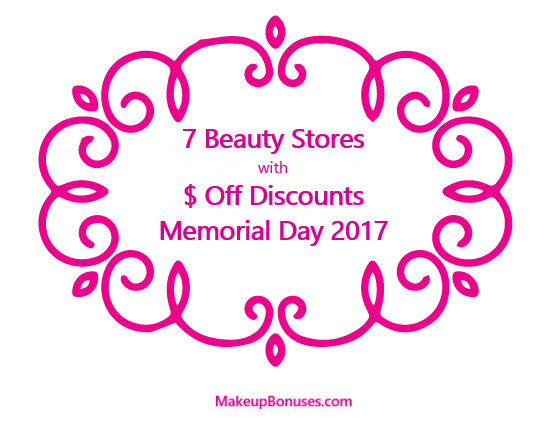 There are dozens of great deals that honor Memorial Day with Discount Offers on cosmetics, haircare, skincare, & suncare. Offers expire Memorial Day (5/29/2017) except where noted. 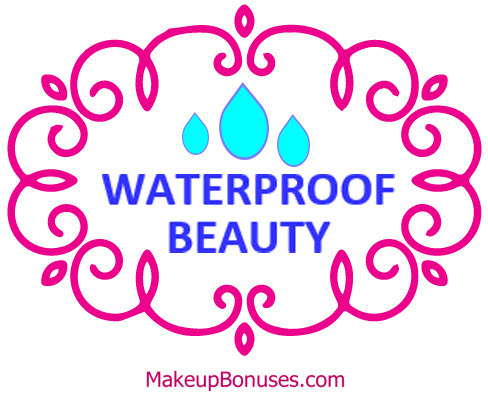 Please note that although some deals can be stacked, most offers are separate from Free Gift with Purchase Offers (click here for today’s list of current GWP offers). 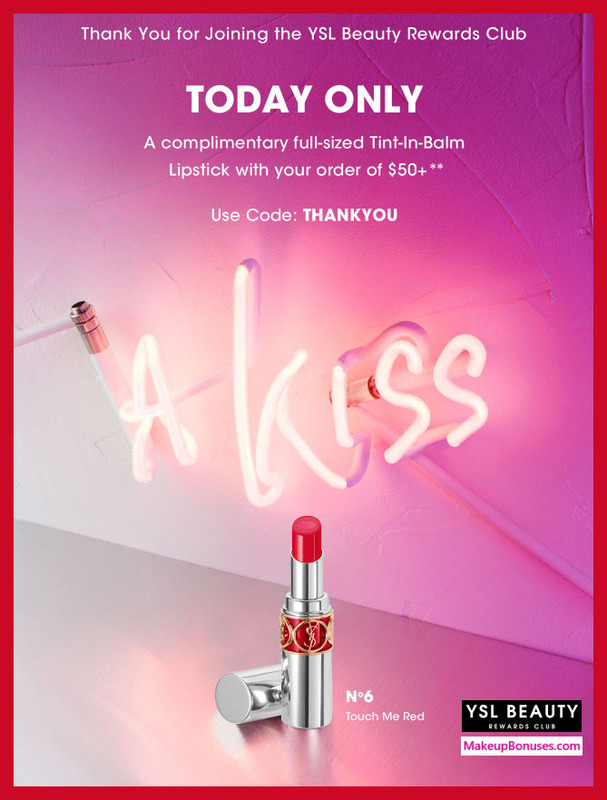 Too Faced: 20% Off Discount with code GET20 – also note that as an email subscriber I received a single use code for 25% off! Enjoy the great deals and have a relaxing Memorial Day weekend! 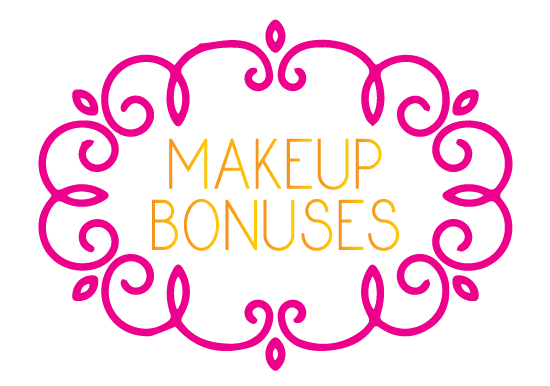 Thanks for visiting and sharing MakeupBonuses.com! Hello and I hope you’re enjoying the extended weekend! 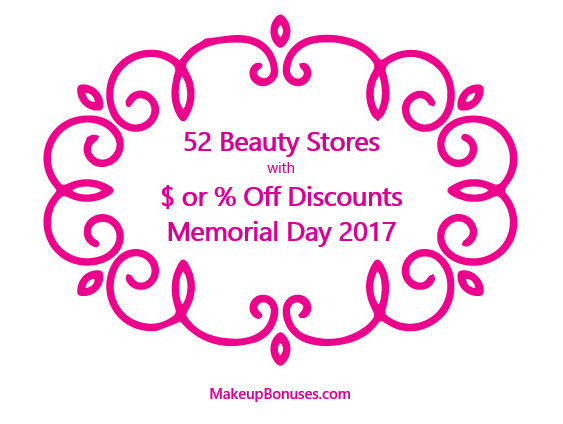 UPDATE: There are 7 9 beauty stores with great $ Amount Off Discount Offers this weekend on cosmetics, haircare, skincare, & suncare. I hope you get some great deals on these premium brands. Also visit the similar page that features % (percentage) Off Discount Offers. 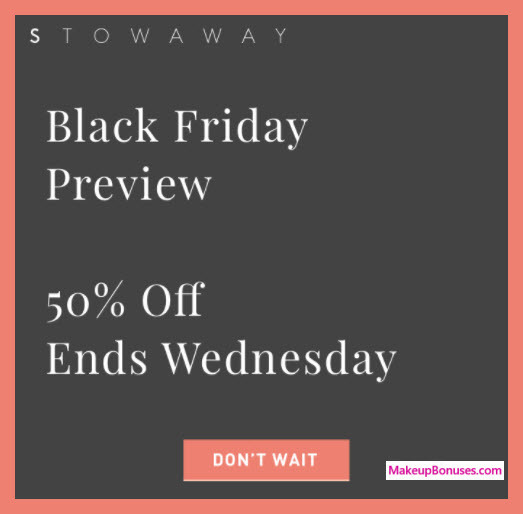 Also be sure to check out our other post featuring Beauty Stores that have % (percentage) Off Discounts available this holiday weekend. Have a great weekend!